1891 – September 7: Wasyl Elyniak and Ivan Pylypiw, the first Ukrainian settlers, land in Montreal. They emigrated from the village of Nebyliv (district Kalush), Western Ukraine. Shortly after arriving by train in Winnipeg, they find work in Gretna, Manitoba. Impressed by the availability of land in Canada they make arrangements for their families to join them, and together they travel to Alberta to homestead – Elyniak and his family take a homestead in the vicinity of Chipman, and the Pylypiw family settle near Edna-Star. 1897 – April 4: Reverend Father Nestor Dmytriw, from the United States, is the first Ukrainian Catholic priest to visit the Ukrainian settlers in Canada, arrives in Winnipeg. 1897 – April 12: Reverend Father Dmytriw celebrates the first Ukrainian Catholic Liturgy in Canada, in the home of Wasyl Kzionzyk in Terebowlia (now Valley River). There he also blesses the Cross of Freedom which the settlers previously had erected on the land that was used as a cemetery. 1897 – Easter: Reverend Nestor Dmytriw celebrates the Easter Liturgy in the home of Ivan Pylypiw, who had already helped organize the first Ukrainian Catholic community in the Edna-Star vicinity. At this time, Father Dmytriw also blesses the land the community has acquired for a church and cemetery. The following year, the building of the church is started. 1897 – August 1: Reverend Nestor Dmytriw organizes the first Ukrainian parish community in Manitoba, in the Stuartburn area. At the inaugural meeting the first parish committee is elected. At the time, there are already about 250 Ukrainian families in the area. 1899 – October 1: Reverend Achilles Delaere, CSsR, a Roman Catholic priest from Belgium, arrives in Brandon and begins his pastoral work. On December 25, 1901 he extends his work to Yorkton, Saskatchewan and begins to service the spiritual needs of the settlers there. 1899 – October 21: Reverend Damascene Polywka, OSBM, from the U.S.A., arrives in Winnipeg. On December 8th of the same year, he arranges for the purchase of property at the corner of McGregor and Stella for the sum of $450.00. He consecrates the property and places it under the patronage of St. Nicholas. May 1 st, 1901 the building of the first St. Nicholas Church is completed. The parish, unfortunately does not have a permanent pastor, since none of the priests arriving from the United States stay for any length of time in Canada. 1902 – October 23: The first Basilian Missionary priests, who are to stay permanently in Canada, arrive from Western Ukraine. They are: Platonid Filas, Sozont Dydyk, Antin Strotsky and lay brother Yeremia Yanishewsky. Also arriving with them are four members of the Sister Servants of Mary Immaculate: Ambrosia Lenkewych, Isydora Shypowska, Emilia Klapoyshok and Taida Wrublewsky. They all travel by train to Alberta where on November 7th Father Filas settles near Beaverlake (now Mundare). Next summer he begins building the first little church and monastery-convent for the Basilian Fathers and the Sister Servants at their new homestead. 1903 – March 19: The first eight-day mission in Canada takes place at the St. Nicholas church in Winnipeg, under the direction of Reverend Father Platonid Filas. In attendance are about 500 people. 1903 – July 11: The first convent and novitiate for the Sister Servants is officially opened in Beaverlake (now Mundare), Alberta. 1904 – January 12: Reverend A. Delaere, CSsR, takes permanent residence in Yorkton, Saskatchewan. On August 21, 1906 he receives official permission to change to the Byzantine Catholic Rite. This marks the beginning of the Ukrainian branch of the Order of the Redemptorist Fathers. A short time later, a few more Latin Rite Redemptorist priests arrive from Belgium to assist Father Delaere. After a period of time, they also choose to accept the Byzantine Rite in order to better serve the Ukrainian people. 1905 – August 28: The Sister Servants of Mary Immaculate open an all-day school for the Ukrainian children of Winnipeg in the basement of the St. Nicholas Church. The same year, the Sisters open a similar school at Beaverlake for the children of Alberta. In 1911, Archbishop Langevin of St. Boniface donates $25,000. for the building of the first St. Nicholas school in Winnipeg. This institution still serves the Ukrainian children today. 1905 – March 11: Reverend Matthew Hura, OSBM, parish priest of St. Nicholas, initiates the founding of the Ukrainian Mutual Benefit Association of St. Nicholas in Canada. Its primary function is to help needy families in the event of death. Later it takes on the role of an insurance agency. 1910 – Sept-Dec.: Metropolitan Andrey Sheptytsky, OSBM, of Lviv, Ukraine, visits the Ukrainian people from coast to coast, Montreal to Vancouver. On October 9th, he celebrates Divine Liturgy at St. Nicholas Church, in Winnipeg. 1911 – May 27: The first Ukrainian Catholic newspaper, Kanadyjsky Rusyn, starts publishing regularly. In 1918 the name is changed to the Kanadyjsky Ukrainetz. In June 1927, the paper passes into the hands of a private national co-op press, which eventually becomes “unfriendly” towards the Ukrainian Catholics. Therefore on November 7, 1929, it is decided to publish a new Ukrainian Catholic paper in Edmonton under the title Ukrainian News. It becomes the official instrument of communication in the Ukrainian Catholic Church in Canada. 1912 – December 19: Canada’s first Ukrainian bishop, Nykyta Budka, consecrated in Lviv by Metropolitan Andrey Sheptytsky, arrives in Winnipeg and celebrates his first Divine Liturgy on December 22, at the St. Nicholas Church. At the time of his arrival, there are already 22 priests working among the Ukrainian Catholic settlers: nine are diocean, 5 Basilian, 4 Redemptorists, and 4 French priests who had changed to the Byzantine Rite. There are also 80 organized mission posts in western Canada and 5 in eastern Canada. 1913 – Reverend Phillip Ruh, OMI, comes to Canada from Lorraine, France, and dedicates his life to the service of the Ukrainian Catholic Church. At first he works in Alberta and later in many other provinces, where he designs and builds numerous churches and monasteries. Some of his most famous legacies are: the grand wooden church in Mountain Road, the Cathedral of St. Josaphat in Edmonton, and the Immaculate Conception Parish on the Prairies in Cooks Creek, Manitoba. 1917 – September: The first Ukrainian Catholic “Bursa” (a boarding house for students), named after Metropolitan Sheptytsky, is opened in St. Boniface. It functions until 1924. 1918 – July 18: In Saskatoon, Saskatchewan the groundwork for the Ukrainian Greek Orthodox Church is laid. 1920 – October 4: The Christian Brothers begin to operate St. Joseph’s College for boys in Yorkton, Saskatchewan. 1921 – Sept-Nov: Metropolitan Sheptytsky visits the larger Ukrainian Catholic communities in Canada for the second time. 1921 – October 2: Father Josaphat Tymochko, the first priest to grow up and complete his studies in Canada, is ordained in the St. Josaphat Cathedral in Edmonton. The following year, he travels to Western Ukraine and enters the Basilian novitiate. After completing his novitiate, he returns to Canada and dedicates the rest of his life to pastoral work. 1923 – August 28: The Basilian Fathers in Mundare open their novitiate and studies in philosophy and theology. 1927 – Bishop Nykyta Budka travels to Rome and to Western Ukraine. Plagued by health problems, he does not return to Canada. 1929 – July 14: Bishop Basil Volodymyr Ladyka, OSBM, the pastor of St. Josaphat Cathedral in Edmonton, is consecrated at St. Josaphat’s and takes over the leadership of the Ukrainian Catholic Church in Canada from Bishop Nykyta Budka. At this time there are 29 diocean and 18 religious priests serving the Church in Canada. According to the data given in the 1931 Canadian Statistics, there were 186,587 Ukrainian Catholics served by some 100 priests, in 350 established parishes and missions from coast to coast. 1929 – September 22: The Sister Servants of Mary Immaculate open the first Ukrainian Catholic hospital in Mundare, with 30 beds and an operating room. 1932 – September: The Sister Servants open an Academy for girls in Yorkton, Saskatchewan. 1932 – December 28-29: A church organization called “The Ukrainian Catholic Brotherhood” is established. Membership in the organization is open to men, women, as well as young people. However, in 1946 separate organizations are formed – for women the “Ukrainian Catholic Women’s League” and the “Ukrainian Catholic Youth” for young people. The Brotherhood becomes an organization for men only. 1941 – September: The Redemptorist Fathers open a minor seminary – high school – the St. Vladimir College, in Roblin, Manitoba. 1943 – July 1: Bishop Neil Savaryn, OSBM, superior of the Mundare Monastery, is consecrated at St. Michael’s, the Roman Catholic Cathedral in Toronto. He is appointed an auxiliary bishop, to Bishop Basil Ladyka in Winnipeg. 1945 – November 5: The Ukrainian Catholic students at the University of Manitoba form a local students’ organization – “Gamma Rho Kappa”. This organization provides the ground work for the Federation of Ukrainian Catholic Students, “OBNOVA”. This new organi­zation comes to reality at the First Students’ Congress held in Winnipeg May 15-17, 1953. 1946 – May 5: Reverend Marko Romanovych, OSBM, founds a new religious community for women, the “Missionary Sisters of Christian Charity”. Initially, they establish their first home in Grimsby, Ontario. Presently, they reside in Scarborough, Ontario. 1948 – May 27: Two new bishops, Bishop Isidore Borecky and Bishop Andrew Roborecky, are consecrated at St. Michael’s Cathedral in Toronto. At this time, Bishop Neil Savaryn, OSBM, is named Exarch of the newly-formed Western Exarchate, which encompasses Alberta, British Columbia and Northern Canada. Bishop Isidore Borecky is appointed Exarch of the newly formed Eastern Exarchate which includes Ontario and all the provinces to the east. Bishop Andrew Roborecky is appointed Auxiliary Bishop to Bishop Basil Ladyka, for the Central Exarchate, which encompasses Manitoba and Saskatchewan. 1951 – March 19: The province of Saskatchewan is taken out of the Central Exarchate and becomes an autonomous Exarchate. Bishop Andrew Roborecky becomes its first Exarch. 1951 – June 29: Bishop Maxim Hermaniuk, CSsR, the Provincial Superior of the Redemptorist Fathers in Canada, is consecrated at the Sts Vladimir and Olga Cathedral in Winnipeg, and becomes Auxiliar; Bishop to Bishop Basil Ladyka, OSBM. 1951 – Nine monks of the Studite Order, fleeing from the communist regime, arrive in Canada. The Ukrainian Bishops of Canada arrange for the purchase of land in Woodstock, Ontario where a monastery and church are built for them. 1955 – May 18: The Apostolic See appoints Bishop Maxim Hermaniuk Bishop Coadjutor for the Central Exarchate in Canada. 1955 – November 20: Through the efforts of Bishop Maxim Hermaniuk, the Supreme Council of the Knights of Columbus grants his request and allows for the creation of Ukrainian Rite Councils. The first such council, St. Josaphat’s Council #4138, comes into being in Winnipeg; Paul Parashin is the first Grand Knight and Rev. Joseph Fornalchuk the first chaplain. 1956 – September 1: Archbishop Basil Ladyka, OSBM, dies and is buried at the Holy Family Cemetery, in Winnipeg. 1956 – November 3: The Apostolic See raises all Exarchates in Canada to Eparchies and the Winnipeg Exarchate becomes an Archeparch; Bishop Maxim Hermaniuk is appointed the first Metropolitan for all of Canada. 1957 – Jan-March: The first edition of “Logos”, a religious quarterly is published under the patronage of the Redemptorist Fathers. Its first editor is Father Volodymyr Malanchuk, CSsR. 1957 – February 12: The official enthronement of His Grace, Maxim Hermaniuk, CSsR, as the first Metropolitan for Canada, is held in Sts. Vladimir and Olga Cathedral in Winnipeg. 1961 – March 28: Two sisters of the St. Joseph’s Order, Symeona Kateryna Klek and Matthea Maria Czerkovnyk, arrive from Western Ukraine (via Poland) to work in Canada and establish their first convent in Saskatoon. A second convent is opened in Winnipeg on August 30, 1985. 1962 – September: The Basilian Fathers open a high school for boys, St. Basil’s College, in Weston, Ontario. 1967 – May 18: During their conference in Winnipeg, the Bishops of Canada decide to establish a Permanent Deaconate in the Ukrainian Catholic Church in Canada. Under the direction of Father Peter Romanyshyn, preparatory courses commence on May 8, 1968 with 5 candidates participating. 1968 – June: Cardinal Josyf Slipyj, Major Archbishop of the Ukrainian Catholic Church, visits all the main centers in Canada. 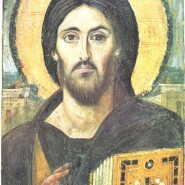 On Sunday, June 23, he celebrates the Divine Liturgy at the Civic Auditorium in Winnipeg. Co-celebrants in the Liturgy are all the Ukrainian Catholic Bishops of North America as well as many bishops of the Latin Rite. Present also are several thousand faithful. 1974 – January 27: The Apostolic See creates another Eparchy in Canada – the Eparchy of New Westminster for the province of British Columbia and the Yukon Territories. Thus, the Edmonton Eparchy now retains the province of Alberta and the Northwest Territory. 1974 – September 5: Bishop Jerome Chimy, OSBM, rector of the St. Josaphat’s Seminary in Rome, is consecrated in Vancouver, and becomes Eparch of the newly formed Eparchy of New Westminster. 1974 – October 3: Bishop Demetrius Greshchuk, pastor of St. Stephen’s church in Calgary, is consecrated at St. Josaphat’s Cathedral in Edmonton and becomes Auxiliary Bishop to Bishop Neil Savaryn, OSBM, for the Edmonton Eparchy. 1981 – June 30: Two sisters of the Basilian order, Bohdana Padna and Imelda Baranyk, arrive from Philadelphia, and establish permanent residence at the parish of The Assumption of the Blessed Mother in Mississauga, Ontario. 1981 – July 22: The Ukrainian Catholic Bishops of Canada establish the Holy Spirit Ukrainian Catholic Seminary. Initially it is housed at the monastery of the Basilian Fathers in Ottawa, then on September 23, 1984, the Seminary moves to its own site, where there is room for 28 seminarians. The first rector is Father Joseph Andrijishyn. 1982 – Two refugee sisters of the Studite Order come to Canada and settle in Dundalk, Ontario (near Toronto). 1982 – October 14: Bishop Myron Daciuk, OSBM, pastor of St. Mary’s church in Vancouver is consecrated at Sts. Vladimir & Olga Cathedral in Winnipeg and becomes Auxiliary Bishop to Metropolitan Maxim Hermaniuk, CSsR, for the Winnipeg Archeparchy. 1982 – October 23: Bishop Andrew Roborecky of the Saskatoon Eparchy, dies suddenly at a banquet in Toronto. He is buried in Saskatoon. 1984 – February 27: Bishop Basil Filevich of the Toronto Eparchy is consecrated at St. Michael’s Cathedral in Toronto. He replaces Bishop Roborecky as bishop of the Saskatoon Eparchy. 1984 – June 16: The Holy Father, Pope John Paul II, during his visit to Canada, officially meets with the Ukrainian Catholics of Canada at Sts. Vladimir and Olga Cathedral in Winnipeg. He extends a special greeting to them in Ukrainian. 1986 – January 7: Bishop Neil Savaryn, OSBM, dies in Edmonton, after experiencing poor health since March, 1984. Bishop Demetrius Greshchuk is appointed Eparch of the Edmonton Eparchy. 1986 – June 8: Cardinal Myroslav Ivan Lubachivsky, on his first visit to all the major Ukrainian Catholic centers in Canada, celebrates a Pontifical Divine Liturgy at the Sts. Vladimir and Olga Cathedral in Winnipeg. 1988 – June 5: To commemorate the millennium of Ukrainian Christianity, the Metropolitan See in Winnipeg, on behalf of all the Ukrainian Catholics in Canada, arranges for an open-air Divine Liturgy at Rainbow Stage. Celebrants at the Liturgy are the Apostolic Pronuncio, all the Ukrainian Catholic Bishops of North America and many Bishops and Archbishops of the Latin Rite. The Divine Liturgy is attended by a multitude of faithful. The Millennium Choir, which was especially organized for this occasion, sings at the celebration. As part of the festivities, the Choir also teams up with the Symphony Orchestra to present a gala concert. A final touch to the festivities was a grand banquet. 1990 – July 8: Bishop Demetrius Greshchuk dies suddenly in Edmonton and is buried at the Ukrainian Cemetery. Very Rev. William Hupalo is appointed administrator for the Edmonton Eparchy until a new bishop is chosen. 1990 – At this time, working at their priestly duties in the five Eparchies in Canada are: 185 diocesan, 32 Basilian, 24 Redemptorist and 4 Studite priests. 1991 – Bishop Myron Daciuk, then Auxiliary Bishop of the Archeparchy of Winnipeg, is appointed Eparch of Edmonton. 1993 – March 9: Reverend Michael Bzdel, CSsR, is consecrated Metropolitan Archbishop for the Ukrainian Catholic Church in Canada. 1995 – March 25: Reverend Severian Yakymyshyn, OSBM, is consecrated Bishop of the Eparchy of New Westminster. 1996 – January 16: Bishop Daciuk dies, at which time Very Rev. William Hupalo is appointed Administrator of the Eparchy. 1996 – January 17: Reverend Cornelius Pasichny, OSBM, consecrated Bishop of Saskatoon. 1997 – April 3: Reverend Lawrence Daniel Huculak, OSBM, is consecrated Bishop; on April 6th, 1997 he is enthroned as Bishop of the Ukrainian Catholic Eparchy of Edmonton. 1998 – July 1: Bishop Cornelius Pasichny, OSBM, enthroned Eparch of Toronto. 2000 – November 29: Bishop Michael Wiwchar, CSsR, is enthroned as Eparch of Saskatoon. 2002 – June 11: Reverend David Motiuk, pastor of St. Sophia parish in Sherwood Park, is consecrated at St. Basil the Great church in Edmonton and becomes Auxiliary Bishop to Metropolitan Michael Bzdel, CSsR, for the Winnipeg Archeparchy. 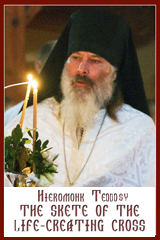 2003 – July 23: Reverend Stephen Chmilar consecrated Bishop of the Eparchy of Toronto. 2006 – February 11: Bishop Lawrence Huculak, OSBM, is enthroned as Metropolitan of the Archeparchy of Winnipeg at Sts. Vladimir and Olga Cathedral in Winnipeg. Very Rev. William Hupalo is appointed Administrator of the Eparchy of Edmonton. 2007 – July 24: Reverend Kenneth Nowakowski is consecrated Bishop of the Eparchy of New Westminster at St, Mary’s church in Vancouver. 2008 – June 27: Reverend Bryan Joseph Bayda is consecrated Bishop of the Eparchy of Saskatoon.